The Collapse of Society – Are the Doom & Gloomers Even on the Right Page? Thanks for the incredible information you are sharing. I subscribe to your service and read your blog every day. Do preppers have any justification in planning for a complete collapse, be it economic, political or otherwise? I keep a 30 day supply of freeze dried food but I have friends that are much more serious in their stockpile. ANSWER: The end of the world scenarios that the doomsday people forecast are over the top. If things unfolded as they proclaim, there would be no point in preparing for there would be nothing left. Movies like the Planet of the Apes were based upon this theory. The likelihood that there will be an economic and political upheaval is 100% on point. I have recommended keeping a stash of food, but not for the reasons they put out there by the doom & gloom people. The winters are going to keep getting colder. As they do, this will also disrupt the food supply. I have warned that historically, it is Global Cooling that kills off people – not Global Warming. Additionally, as political unrest rises, there will also be a disruption in the food supply. The majority of people are incapable of growing food for themselves, so society as a whole has this great vulnerability as was the case in in the eternal city of Rome. I simply look at history and there is no agenda in what I publish. We are entitled to just the facts. 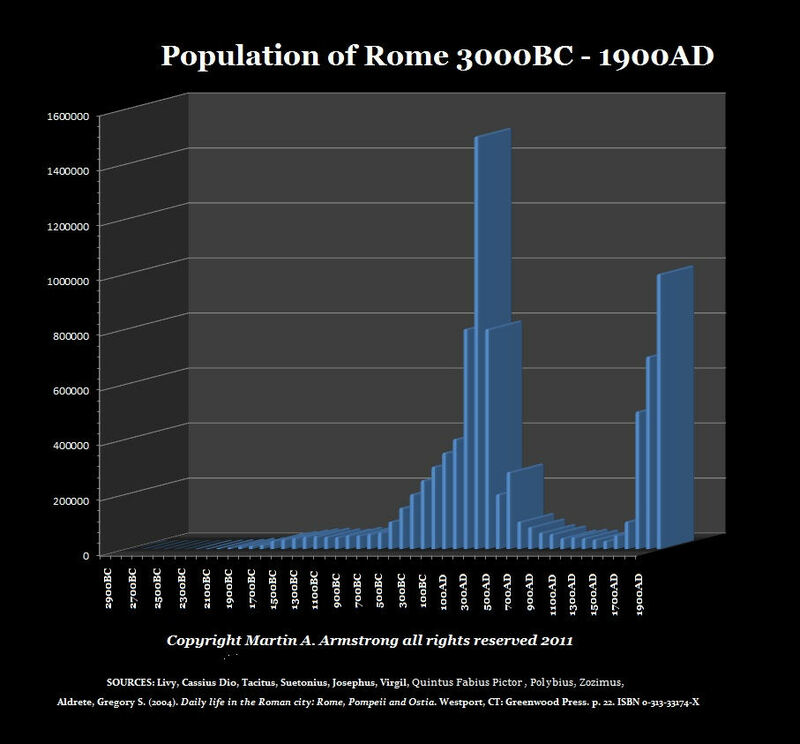 Historically, as taxes kept rising, and public safety became a growing concern in the urban life, more and more people began to migrate leaving Rome walking away from their property. There is simply a cycle where we all come together to form great societies, the ruling class becomes greedy, and then the cycle turns we migrate back to suburbia. We must comprehend that no matter what the trend, there is a cycle inherent. Nothing moves in a single direction without end. Nothing in nature functions in that manner. If it did, we would all know the expiration date when we will perish. The political change we face is the collapse of socialism. Oh some people will immediately disagree and say it is capitalism. Sorry, pensions are part of socialism – not capitalism. That DOES NOT mean the socialists go down without a fight. 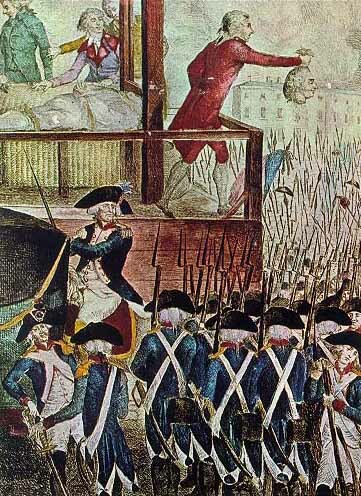 The French Revolution is where Communism was born. They hunted the wealth of the rich, beheaded them, and they even seized all the property of the Catholic Church. Socialists always claim they are doing this to right all wrongs created by the rich, but in truth, they live in hate of anyone who possesses more than they do. 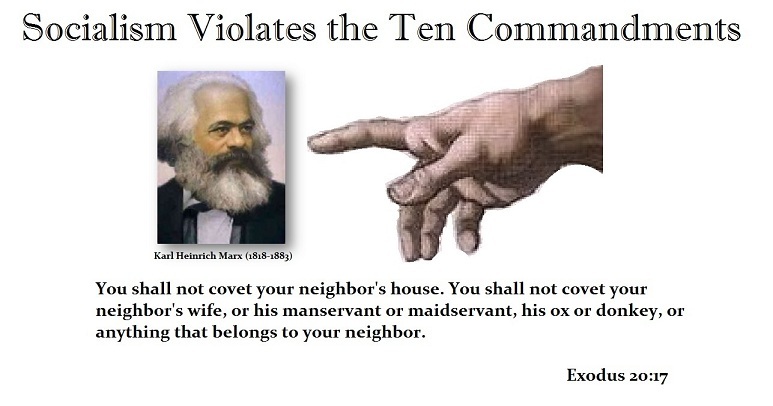 I find it curious that this is listed in the Ten Commandments as something not to do, yet it is the cornerstone of the left. So even if someone does not believe in God and looks at the Ten Commandments simply as an ancient list of wisdom, this trait is still listed. Any way we slice it, religion aside, coveting their neighbor’s goods is the creed of a thief. There have been uprisings against the rich and the bankers throughout history. 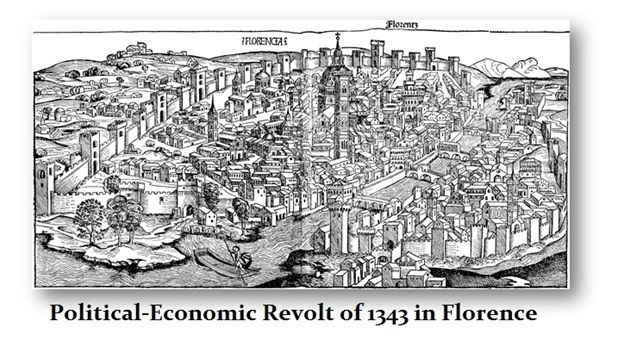 When Florence was the financial capital of Europe, the banking family was the Bardi of Florence. They preceded the Medici and Rothschilds, yet remain unknown to most people. They were the famous bankers of the day. Because there was a dramatic shift in the silver to gold ratio, there was a major uprising when silver rose in value against gold because wages were paid in silver and workers were laid off because employers could not pay their wages. 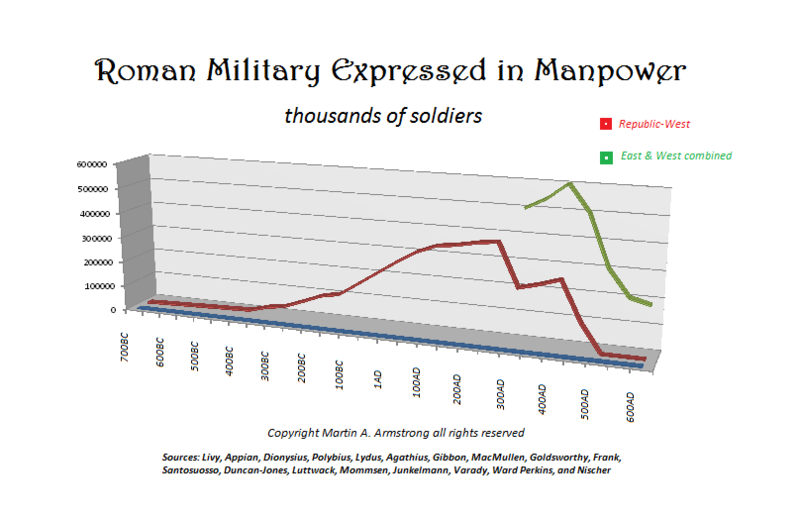 An economic collapse unfolded and the people blamed the bankers when the source of the problem was the French king who raised the price of silver to fund a war. The people stormed the palaces of the bankers and set them on fire. So history is littered with a cycle between all is well and then there is an economic collapse and civil unrest. This is the greatest danger with the collapse of socialism, which the center portion is the collapse of the pension system. Do not expect government workers to go quietly into the night when their pensions evaporate. Rome also collapsed when it could not afford the promised pensions for the army. This led to generals rebelling and the troops followed sacking Roman cities that opposed them because they were ENTITLED to their promised pension. 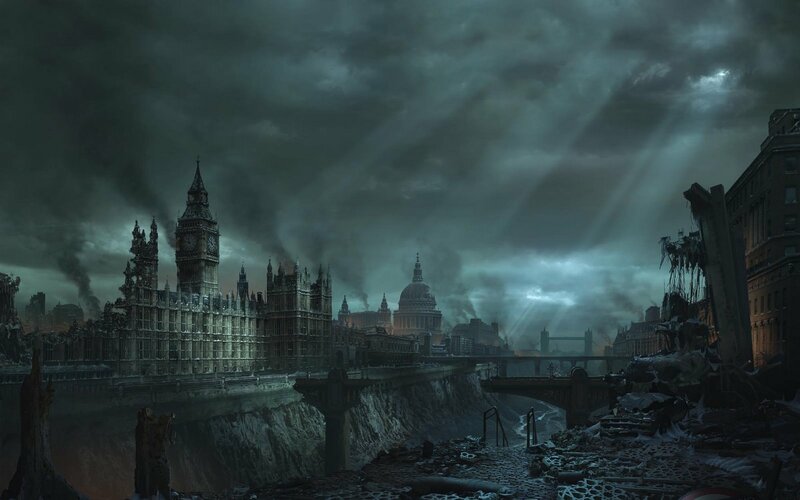 The collapse in pensions led to so much rebellion and numerous generals plundering their own cities. We already have civil asset forfeiture and judges who allow police to literally get away with murder. The same trend is unfolding and linking police pensions to money confiscated are the very same patterns that took down Rome. History repeats because it is the same pattern over an over again. Those in power always promise everything assuming that the people are sheep to extract revenue whenever they need it. They fail to understand that EVERYTHING has its limit. Once they cross that line, the system collapses back in on itself. This is simply what we face. It is not a Planet of the Apes scenario and it does NOT even require World War III. It is already in motion and war will only be a result, not the initial cause.